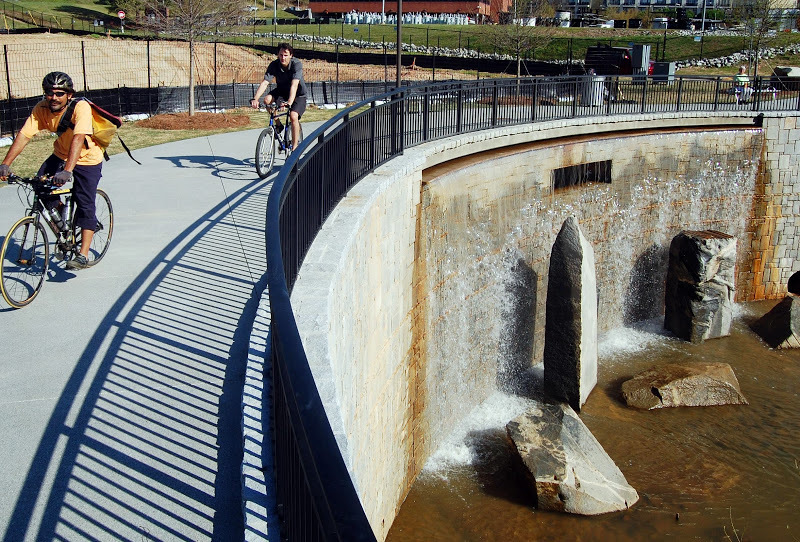 The park features as its centerpiece a two-acre stormwater detention pond built by the Department of Watershed Management, which has dramatically reduced flooding in the nearby neighborhoods. 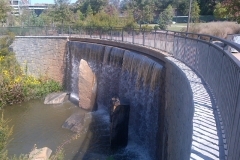 Clear Creek Basin serves as a storm water run-off reservoir. 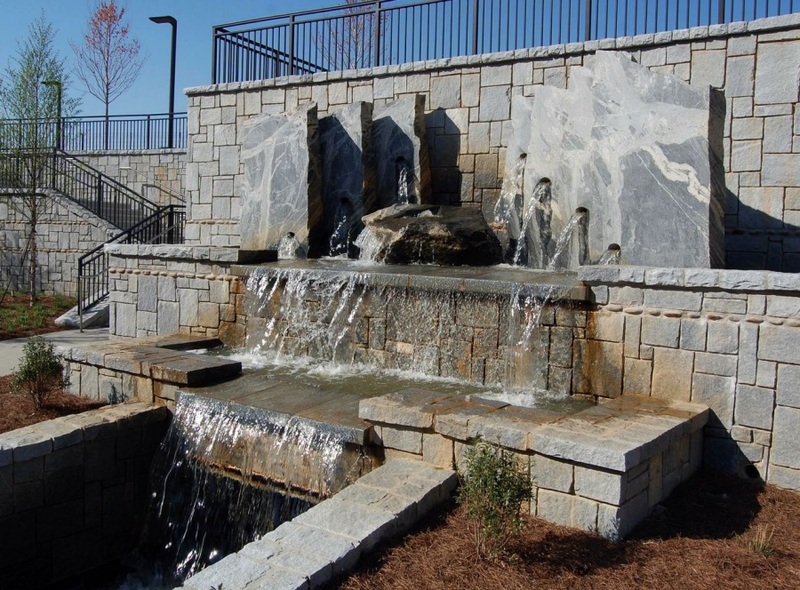 The storm water detention feature and the park have been designed through a unique community partnership of residents and business stakeholders, the City’s Department of Watershed Management (DWM), and Atlanta Beltline, Inc. 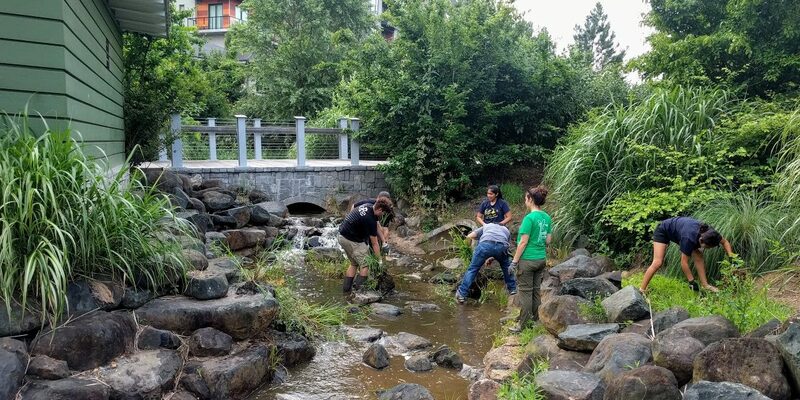 The need to provide storm water runoff in an area slated for redevelopment has allowed several departments in the City to work together, creating a solution that addresses quality of life, environmental sustainability, and economic efficiency. 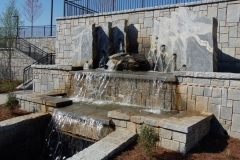 Construction includes a 2 acre detention pond providing relief to the City of Atlanta’s combined sewer system, a 24” tap into the existing 9’ x 9’ Clear Creek trunk sewer, the installation of nearly 1,000 LF 6’ x 3’ box culvert, re-routing and reconstructing city streets, elevated walkways, extensive walls, ramps, various hardscapes, decorative railings, site lighting, wetlands plantings and landscaping. 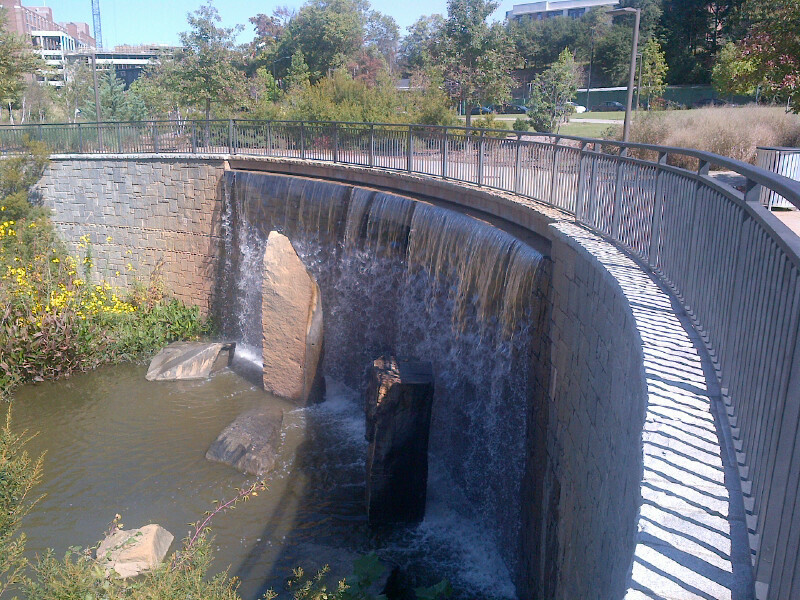 Clear Creek promises to be a beacon park of the Atlanta Parks System, and enjoyed by the residents of Atlanta for years to come. 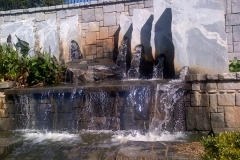 ”The pond itself is actually built below the site’s water table,” Burke says. 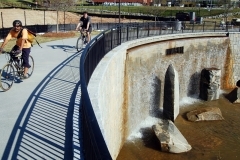 “The pond generates a minimum of 425 gallons a minute, even in a drought, from the submerged Clear Creek water table.” He notes that the generated water is used to water the park’s lawns and playing fields. 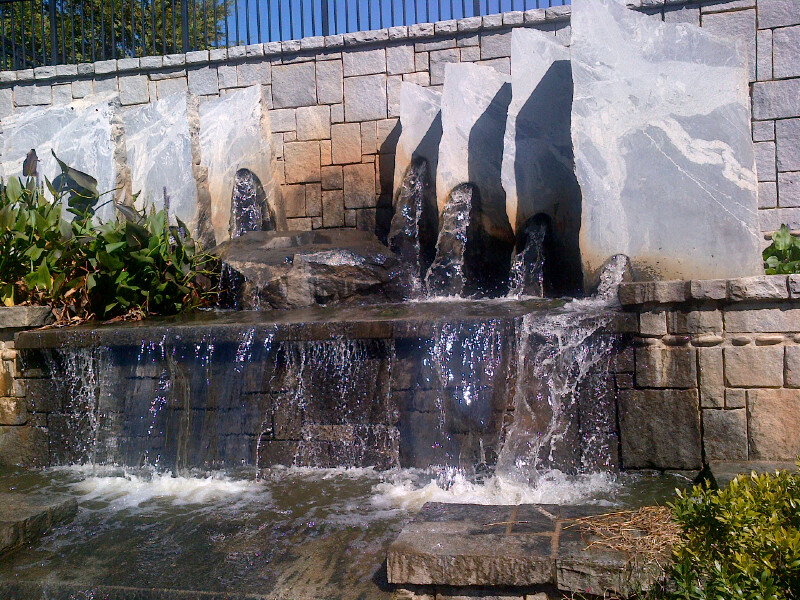 Additional water features in the park include a ten-foot waterfall to aerate and recycle the pond water and a stone water cascade that will run alongside one of the park’s walkways.